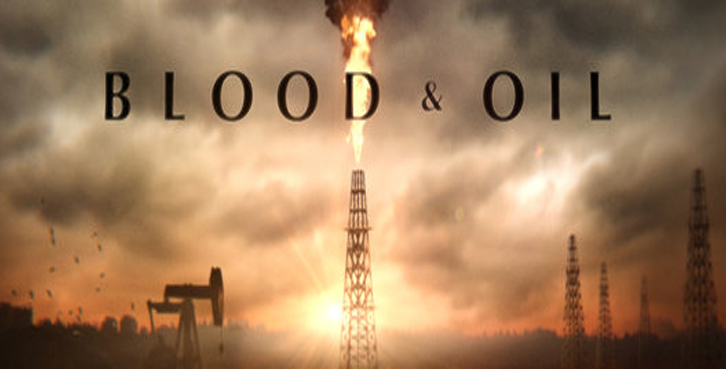 Home TelevisionABC	ABC’s “Blood & Oil” premieres this Sunday – get EXCLUSIVE reviews and content here! EDITOR NOTE: WE WILL WORKING EXCLUSIVELY WITH ABC TO PROVIDE YOU CONTENT FROM THE SHOW AS WELL AS INTERVIEWS AND REVIEWS. CHECK BACK EVERY MONDAY FOR REVIEWS AND POTENTIAL SURPRISES. “Pilot” – Billy and Cody Lefever are a young, recently married couple with dreams bigger than their working-class upbringing. Following the largest oil discovery in American history, they pack up and move from their small city to the boomtown of Rock Springs, North Dakota, where a millionaire is made every day. Intent on tapping into this explosion of wealth, they set out to start their own business, which they’ve financed with every penny to their name. After a rough start, Billy becomes increasingly eager to cash in on this modern day gold rush. When he tries his hand in the oil business, he crosses paths with the baron of the Bakken, Hap Briggs and his equally powerful wife, Carla, as they embark on expanding their empire into new territory. But tangling with titans is not for the faint of heart and when Billy bets big, it causes Cody to question his intentions, and ultimately their marriage, on the series premiere of “Blood & Oil,” airing SUNDAY, SEPTEMBER 27 (9:00-10:01 p.m., ET), on the ABC Television Network. “Blood & Oil” stars Don Johnson as Hap Briggs, Chace Crawford as Billy Lefever, Rebecca Rittenhouse as Cody Lefever, Scott Michael Foster as Wick Briggs, Amber Valletta as Carla Briggs, India De Beaufort as Jules Jackman, Adan Canto as AJ Menendez, Miranda Mayo as Lacey Briggs and Delroy Lindo as Tip Harrison.